Are you considering a switch from ERwin and want to understand what’s involved in a cost effective migration to ER/Studio rather than upgrading to ERwin 9.5? Do you want to see how ER/Studio really works and get your questions answered before you make a decision? Are you responsible for your organisation’s information strategy? Do you want to use a Data Modelling tool that promotes strategic planning and programme coordination? Do you want to avoid data quality related issues that delay project delivery or require costly unplanned rework late in a project and be able to provide unlimited browser access to model diagrams and metadata? Bring your questions or send them in advance to mark.barringer@embarcadero.com and get them answered during the presentation. Ron Huizenga is the Product Manager for ER/Studio at Embarcadero. Ron has over 30 years of experience as an IT executive and consultant in Enterprise Data Architecture, Governance, Business Process Reengineering and Improvement, Program/Project Management, Software Development and Business Management. His experience spans multiple industries including manufacturing, supply chain, pipelines, natural resources, retail, health care, insurance and transportation. 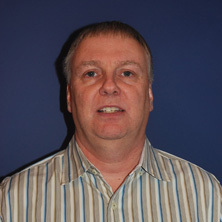 Before joining Embarcadero’s Product Management team, Ron Huizenga worked as an independent consultant for 20 years. He used both ERwin and ER/Studio with a wide range of customers and concluded that ER/Studio had the right features and capabilities to address the complex enterprise data architecture needs of his clients. Based on his personal experience, Ron is well positioned to host a “Switch to ER/Studio” workshop. 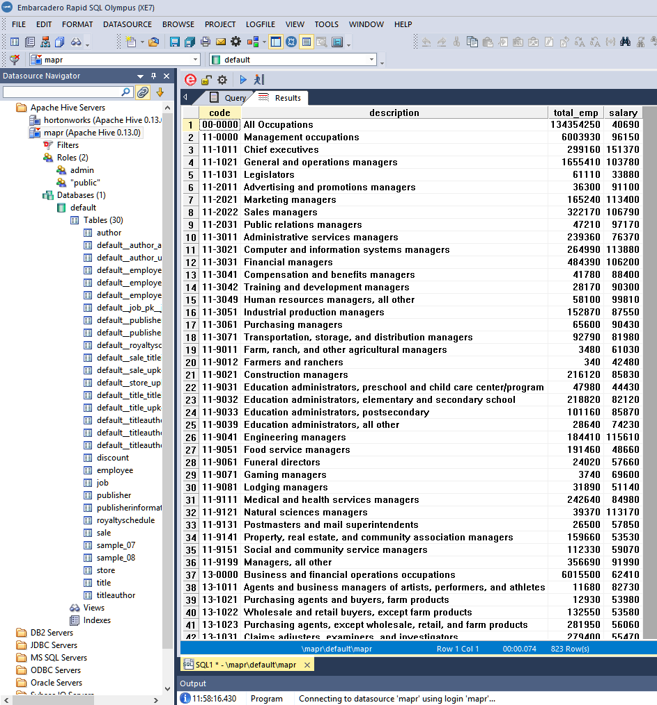 Recently I got the opportunity to have a tinker with our BigData Technology preview for DBArtisan and RapidSQL. I was able to simply and easily register some of the BigData appliances I have installed, including, MapR, Hortonworks, Cloudera plus others. 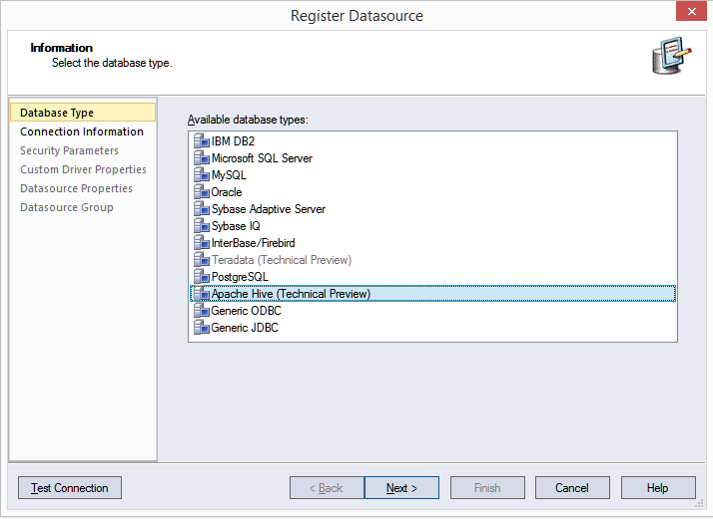 One of the ways we have achieved this is by including the necessary JDBC drivers to connect to these platforms. We support these platforms by going in via the Apache Hadoop Hive layer, and support Object Browsing and SQL querying through the support of HiveQL. If anybody is interested in registering for the technology preview please contact us via the relevant support channels here.